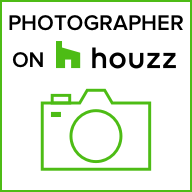 My name is Justin Galusha and I have been a professional real estate photographer since 2013. I am a resident of Weymouth, MA and the Lead Teacher of the Social Studies Department at Weymouth High School. In addition, I am adjunct professor of educational technology at Eastern Nazarene College. 617-827-1069 to schedule an appointment today. Photo credit to my daughter - an aspiring photographer as well.